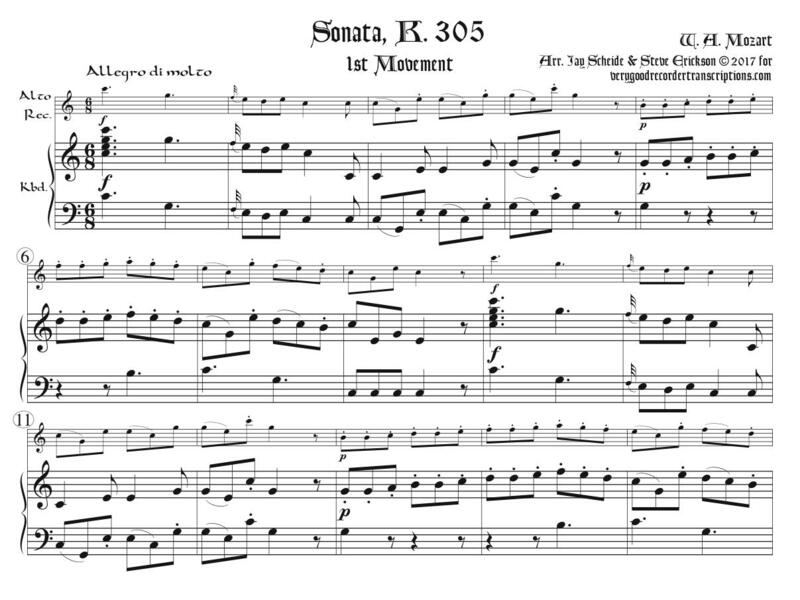 Originally for “keyboard with violin accompaniment” in A major, transposed here to C. In order to avoid the keyboard player having to turn back 3 or 6 pages, the repeats of both the exposition and the development/recap in the Allegro molto 1st movement are written out, and the recorder parts have a double set of measure numbers to be in concert with the keyboard part. The 2nd and final movement is an Andante grazioso set of variations (needing no written-out repeats). NB, the recorder part does not always follow the original violin part but sometimes is based on the right hand of the keyboard part. Revised 2.27.18.